The touchscreen showcases with the medal presentations are located in the Erasmus Gallery, in the corridor just off the main auditorium. The Erasmus Gallery is open to the public Mondays through Fridays, 9:00 – 17:30. 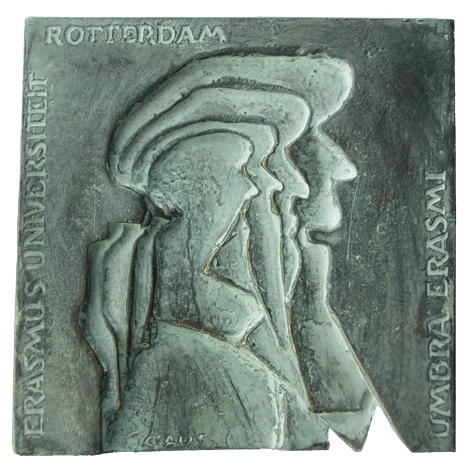 The larger of the two interactive medal displays presents all medals, designs and sculptural objects which in the course of many years the artist Eric Claus has designed for Erasmus University Rotterdam. 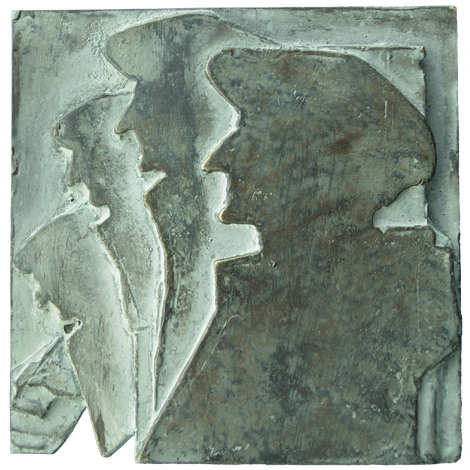 The other medals and sculptural objects by the artist in the NEPK collection have been included in this presentation as well, as are medals from a private collection in the Rotterdam area. Extra: in a series of short video clips this unique artist, who turned 80 last year, discusses the various design and realisation stages of his major commission “Portrait Gallery Council of State” (The Hague, 2015). Times: Monday thru Friday, 9:00 a.m. – 5:30 p.m.